You might be tasked by your manager to plan a Holiday Party for your team. In this article, we will show you the top 10 guidelines for a successful employee holiday party. Increase employee satisfaction and levels of retention by reading these tips below that this article is going to show you. Before everything else, please know that the basics will always be important. Again, we should consider the theme, place, how many people are coming (and how Invitd can help with this), when it should happen and what beverages and foods to be served at the event. Prior things should be considered before executing the event. A successful event requires these core elements to be planned out. There are lots of ways to strategize these elements but remember, working with a team of people will make this easier. Time will always be the challenging part. For quick events, consider hosting the event at lunch time. This can be the perfect time since it doesn’t involve employees to plan or find a sitter for their children. If there is an instance that you can’t set it up at lunch time, evening time is good as well but costs will likely be higher. The best day to conduct an employee event is on the weekend. Specifically, you should choose Saturday over Sunday as majority of the workers are more available on Saturday, especially in the evenings. It’s recommended to host your party specifically to appreciate employees. This is especially recommended if there is no other event on your company’s calendar. Based on the data, earlier in October and late in January are great times to hold an employee party. This is a great time because it will save resources, employees have better availability and potentially getting better deals on party packages because this is off-season to them. You should select the very best team or group of people to help you with planning the event. It doesn’t matter how many of them, the important thing is the quality of work that these people will do. Individuals with the ability to influence other employees is one big factor to build more interest in the event. 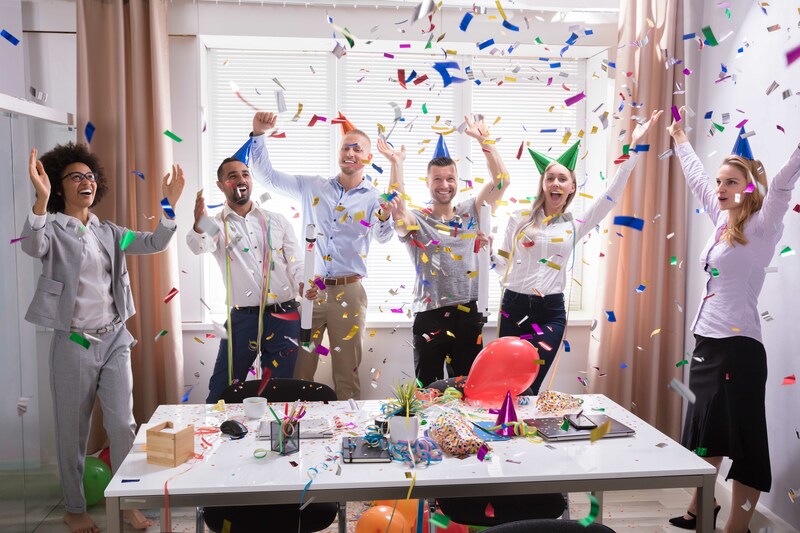 Planning employee events can be tedious but hopefully this article will make the planning more easy and straightforward. If you want the RSVP process to be easy, be sure to use Invitd and make the process easy for you and your employees.